Yesterday, I told you about Tea Party GOP Congressional candidate Andrew “Rocky” Raczkowski’s mucho campaign bucks from Islamic terrorism supporters. But there’s more. In his latest filings, Rocky notes that he took $4,800 in campaign contributions from Mohammad Qazi and his wife, Farhat, Pakistani Muslim extremists, who admitted in settlement of a lawsuit with the U.S. government to committing millions in Medicaid and Medicare fraud. With their $4,800, the Qazis are Rocky’s LARGEST INDIVIDUAL CAMPAIGN DONORS. Essentially, the money he took from them was funded by hard-working American and Michigan taxpayers they defrauded. Why is Rocky Raczkowski Taking $4,800 From Muslim Extremists Who Defrauded Medicare/Medicaid? In 2007, I told you about the Qazis. 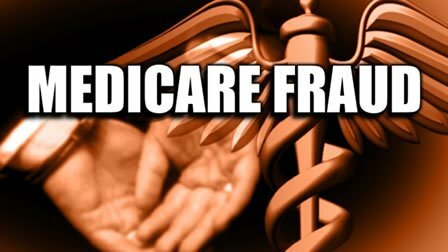 They own Ciena Healthcare Management, Inc. which settled a U.S. government Medicare and Medicaid fraud lawsuit against it, alleging multi-millions of dollars in fraud. They paid $1.25 million to the U.S. and Michigan taxpayers because of massive fraudulent billing they committed and were lucky they didn’t get criminal charges against them (probably because they are Muslim). A Southfield company that manages skilled nursing centers, its owner and two of its top officials have agreed to pay $1.25 million to settle allegations that they improperly billed Medicaid and Medicare for inadequate care of, and services to, residents at four metro Detroit nursing homes. Ciena Healthcare Management Inc., its owner Mohammad Qazi, Chief Financial Officer Anis Khan and Chief Operating Officer Denise Mahnke-Pugh agreed to the settlement Monday. And the Qazis are extremists, donating to extremists like Democrat Muslim Congressman Keith Ellison, David Bonior, Sheila Jackson Lee, and John Conyers. Mr. Qazi identifies himself in some of his campaign donations as the Chairman of the extremist Council on Pakistani Relations, which is a Muslim Pakistani group modeled after CAIR. Just what did Rocky promise these extremist Muslim tax defrauders? What will they get from him in return for their nearly $5,000, which is about 1% of the total campaign cash he raised this period? It’s not worth the risk getting him elected, to find out. 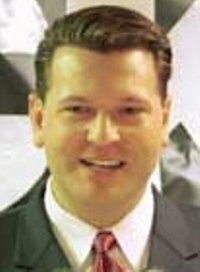 Voters who care about America and want to protect our country from the Islamic threat and from those who rip off hard-working Americans to get rich will vote against Andrew “Rocky” Raczkowski and hold their nose to vote for his opponent, liberal Democrat Gary Peters, at the polls in November. At least Peters gets it on jihad and isn’t financed by extremists and criminals, who steal your hard-earned tax money so they can live the high life. It’s interesting to not that one of Rocky’s biggest supporters, Sue Burstein-Kahn, whined to me in an e-mail about Rocky’s primary supporter, Paul Welday, accepting a few hundred bucks from the Qazis. Kahn, who owes her job heading up the ALS of Michigan Foundation to Rocky (he sits on the board), is now strangely silent, since her “boss” Rocky Raczkowski has now taken ten times as much from the Muslim extremist Medicaid/Medicaid defrauding Qazis. I don’t know what we’d do without Debbie blowing the lid off of these news stories. 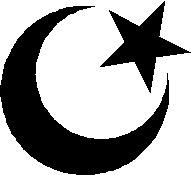 This islamo-pandering, rationalized by its advocates and beneficiaries, is simply based on fear of islamic terrorism and sharia law. When will this end – when we truly become the I.S.A? (http://newzeal.blogspot.com/2010/10/busted-conyers-meets-with-marxists-how.html), and considering Conyers and Ellison (MN-05) are members of Democratic Socialists of America (DSA) (http://commonamericanjournal.com/?p=17789) and the Congressional Progressive Caucus (PCP) (http://cpc.grijalva.house.gov/index.cfm?ContentID=166&ParentID=0&SectionID=4&SectionTree=4&lnk=b&ItemID=164) and given that Conyers and Ellison are big fundraisers and contributors to other campaigns, this question: Where does the money they receive come from and how do they, Conyers & Ellison, move it around and to which campaigns do they contribute? My sister said to me ” Oh god, now I have to hold my nose and vote for the democrat”?..I told her to do what she wants, this state is so screwed up already one more democrat won’t hurt. I live in Dingell’s district, cannot stand the man. The debate went well between himself and the good Doctor. I am praying for a good outcome. Debbie, when are you going to run for the U.S. Senate? You do realize that whether you win the nomination or not you’ll be dictating the terms of debate. I agree Solomon2. I would never compare Debbie to Sarah Palin because I know she does not care for her. They do have the same fighter instinct in common though. Debbie would definitely get the word out and bypass the media as the shills they are. Would be an interesting race….. Take down Debbie Stabenow for Debbie Schlussel… lol….. She would get the earned votes, and then she would get some votes from the ignorant left just because the initials are the same…. I say go for it, start the process now. Debbie, I know the two of you are nothing alike. That was not my point. I believe if you were confronted on anything, false or otherwise you would present your case, state the facts and not sit there like a politically correct female member of the wussie GOP. That was my comparison, nothing more. Sarah Palin kind of gets on my nerves, but I respect the hell out of her confidence weather I agree with her or not. You have the same self confidence. Now, you really have to admit that a contest between you and Debbie Stabenow would be… well, fabulous. I think you should consider it. As well as a radio show online or something. You have a lot to offer. I spelled Whether incorrectly. I was looking at the gloom outside my window apparently. I don’t know where you get the information you do, but it blows my socks off. You are amazing. Medicare Solutions can help you find the best medicare drug plans to fit your life and budget. With a list of providers, health plans listed by state and commonly asked questions, Medicare Solutions is the leader for assistance with medicare supplement.